Pseudoscorpions are only about a half-inch long, which includes their pincers. 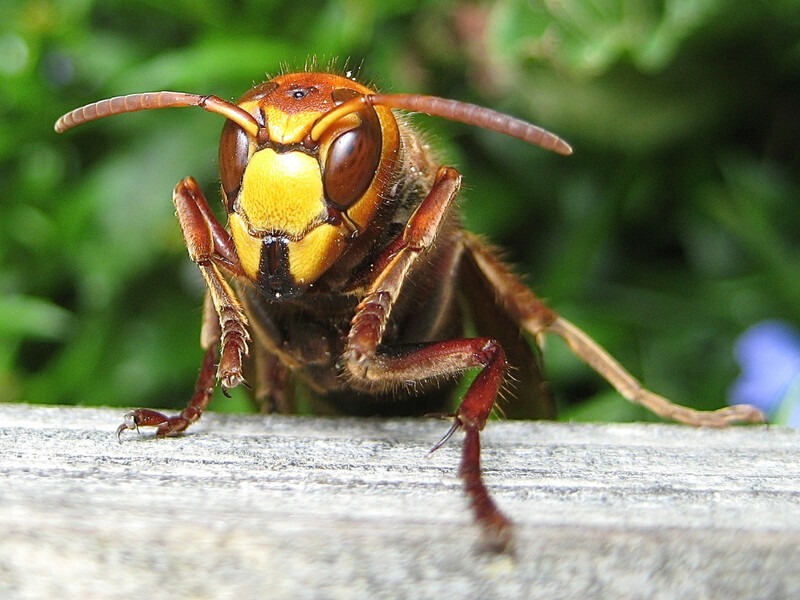 They are harmless to humans and pets, so if you see one indoors, simply pick it up and relocate it outdoors. You may go through your entire life and never see a pseudoscorpion, although there are over 3,000 species of them worldwide. In North America, there are over 200 species, but they usually make their homes under tree bark and stones, in bird nests, and in cracks and crevices. So to find one, you are going to have to be looking pretty closely. If you frequent libraries or buy a lot of used books, you might see one preying on paper-eating insects, which is why they are also known as book scorpions. Pseudoscorpions have a scary appearance, so I guess we are lucky they are less than a half-inch long. They have small, reddish-brown bodies that are shaped like flat teardrops with two pincer appendages out front called pedipalps. They resemble a crab in the way they walk and can move quickly either backward or forward. If they didn't have the large pincers, they would closely resemble ticks. They are similar in appearance to actual scorpions but don't have the long, curled metasomal segments and stinger at the end of the telson (both parts of the "tail" of a scorpion). 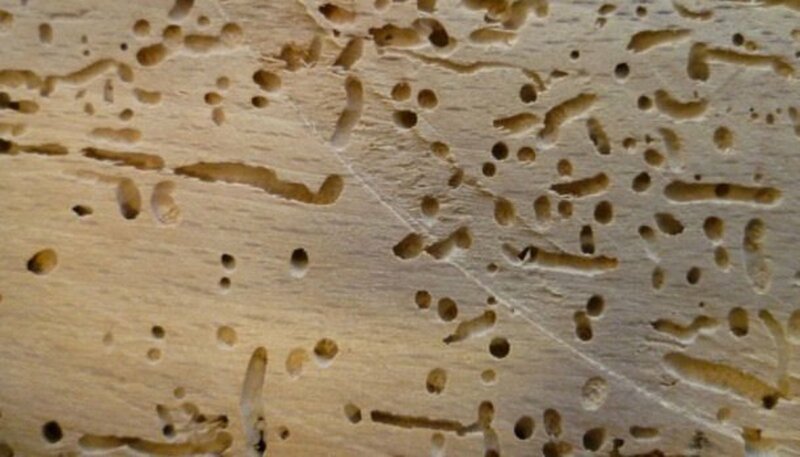 It is possible that they may even be in your home, having hitched a ride on your firewood or on larger insects like flies (a behavior termed phoresy). 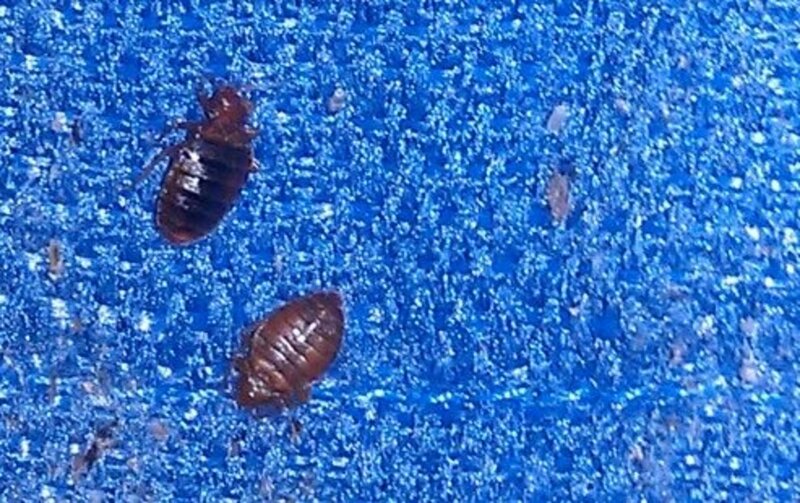 Although they might be in any room of a home, they are usually found in damp areas (basements, bathrooms, laundry rooms, etc). Pseudoscorpions, however, don't bite or sting and are harmless to humans or pets. 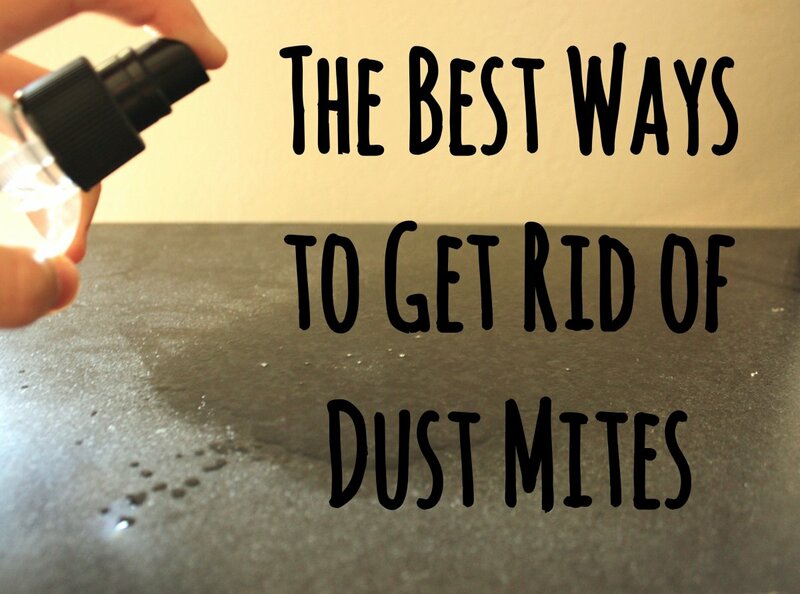 Plus, they won't damage your clothes, food, or other property around your house. So, there's really no need to hunt them down. 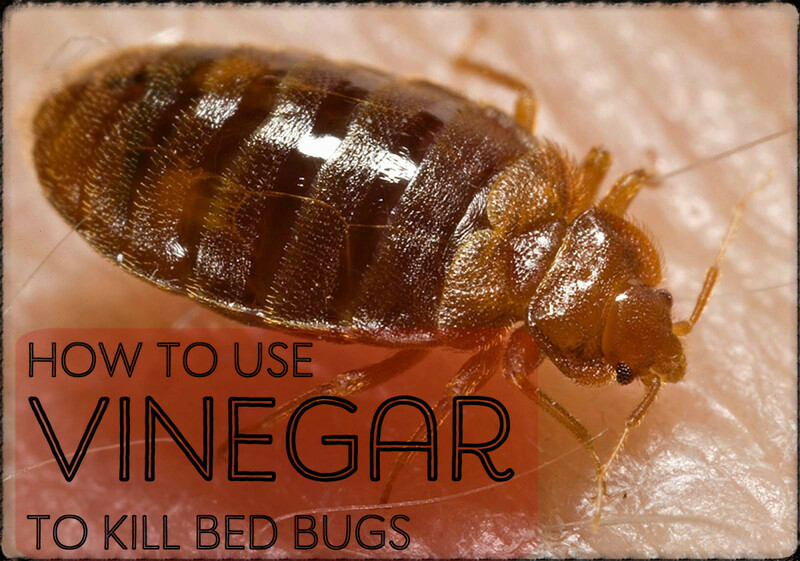 But if you happen to see one, you might just relocate him outdoors where he could be beneficial to you by ridding your yard of insect pests. 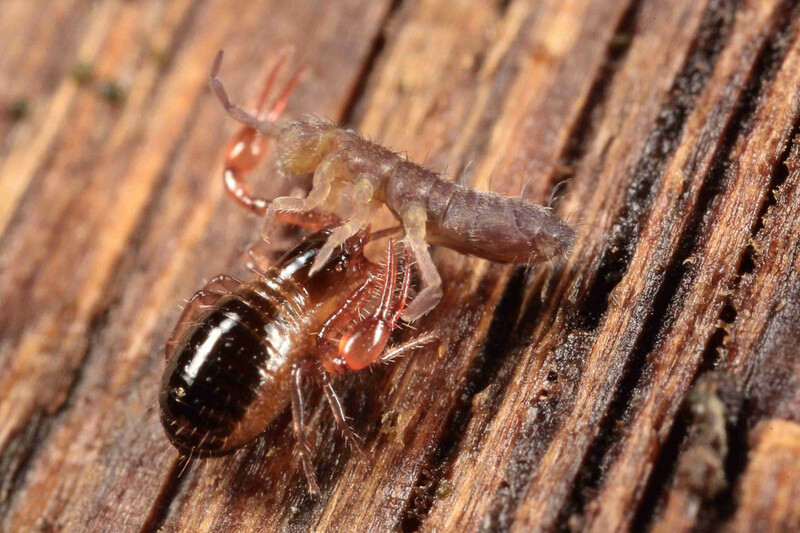 All pseudoscorpions are predacious arthropods that feed on other types of arthropods or small insects (ants, mites, thrips, barklice, booklice etc). Different species of pseudoscorpions hunt their prey differently; many of them will aggressively stalk but others hide and ambush their prey. Some pseudoscorpions have two, four or even no eyes at all. The sensory hairs on their pedipalps are used to help them find prey because the ones that do have eyes have poor vision. If an insect happens to brush up against the sensory hairs, it triggers a response in the pseudoscorpion (sort of a notification to act) allowing it to seize and subdue the insect with its pincers, which are loaded with poison glands. The prey is instantly paralyzed. Then, the pseudoscorpion injects saliva into the prey and feeds on the liquefied contents, just the way most spiders or true scorpions do. The poison glands are not harmful to pets or humans. 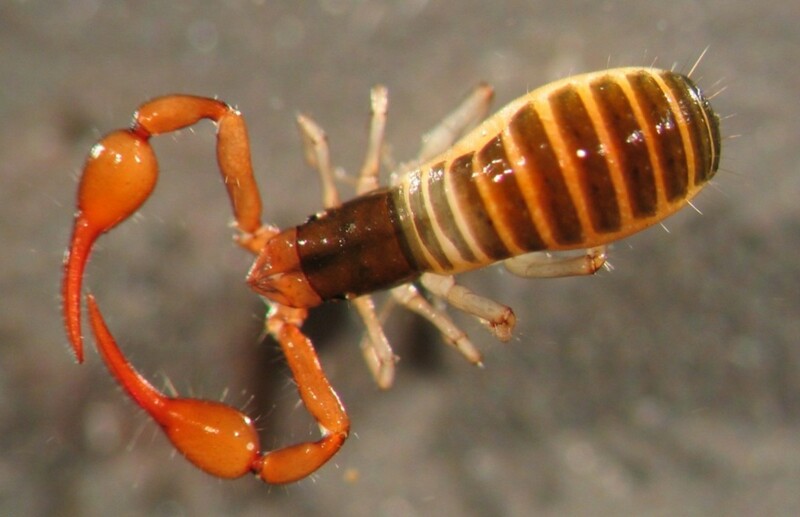 Currently, almost 50 species of cave pseudoscorpions have been found in Alabama's caves, 40 of which are endemic to the state. They make up almost a third of all cave animals in Alabama. 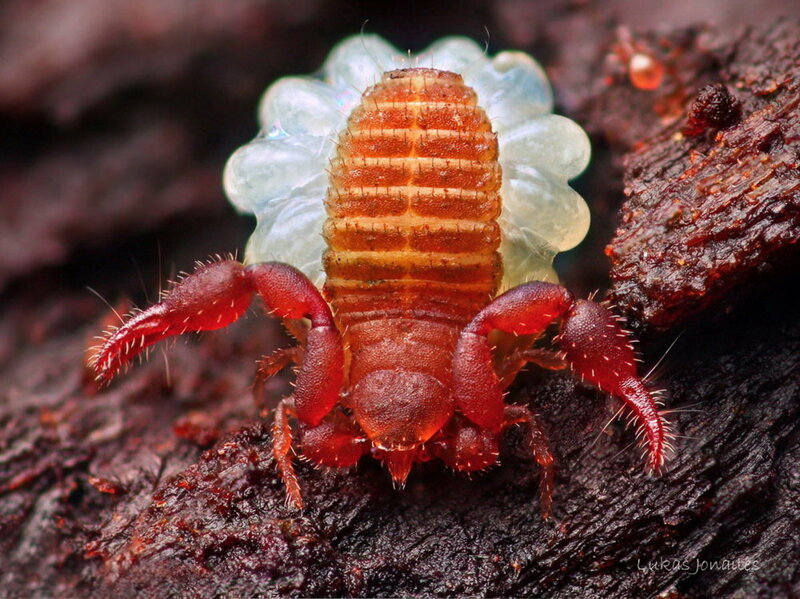 These pseudoscorpions are like spiders and true scorpions in that they are predatory arthropods. 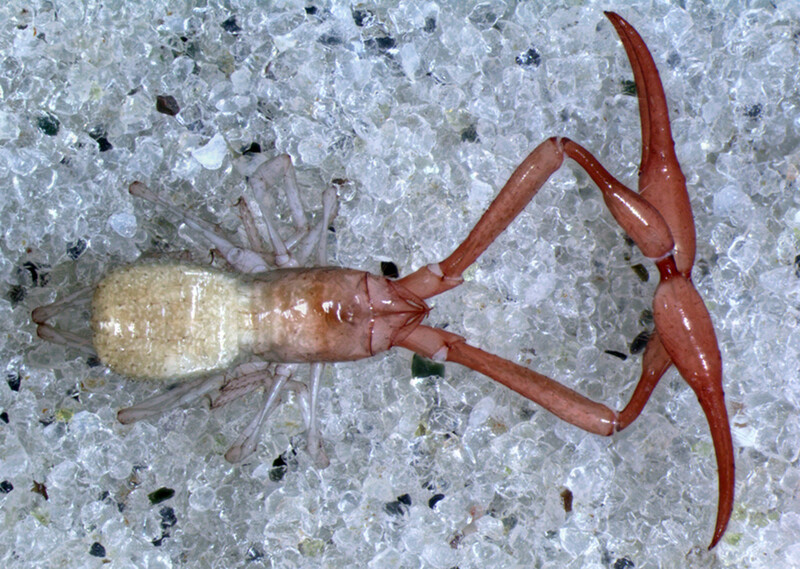 Cave pseudoscorpions are larger overall than other terrestrial species. They are also covered with longer sensory hairs and have longer legs and specialized appendages. They also have either no eyes or at the most only one pair, as opposed to the species who live above ground, which typically have two pairs of eyes. 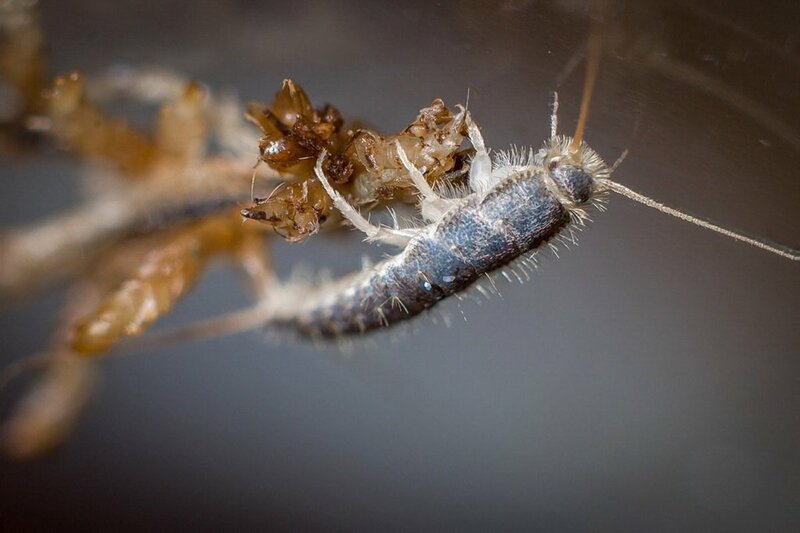 You might assume that pseudoscorpions are closely related to scorpions, but they are more closely related to the extremely-aggressive camel spider.